This is a great make-ahead party recipe and the flavor just gets better as it sits. I scooped a bit out if the pan into a small serving bowl for a holiday buffet and let guests spread it onto assorted crackers. This is a recipe I will make again. Made this salsa - added some lime and when it was too thin, added some leftover guacamole. Didn't eat it with cheese. Added it to black beans, corn and yellow pepper. Very good but quite involved. First you have to make the tomato sauce, then you have to grate the nutmeg, the Parmesan for the custard mixture and slice the other cheese, Jarlsberg in my case, then assemble. I wound up having an extra half cup of custard mix, the 8x8 dish was filled to the max. I baked according to direction for the various temperatures covered then uncovered, and at the end of the time period, the internal temperature of the mixture was only 137 degrees, not the 200 required, so had to put cover back on, ramped up the temperature and baked an extra half an hour. This was a fine but not especially exciting marinade. We find this a little bit too vinegary for us, even after I cut the vinegar amount by a third and added a quarter cup or so more brown sugar. I'm hoping it'll mellow out and be better tomorrow. The hardest part of this recipe is buying all the different type of nuts. The tart is great, almost like a better version of a snickers bar (minus the chocolate). Lynne Rossetto Kasper's voice, so vibrant and reassuring on the radio, rings out of this book's pages, as does her uncanny knack for using stealth ingredient... in unlikely places. 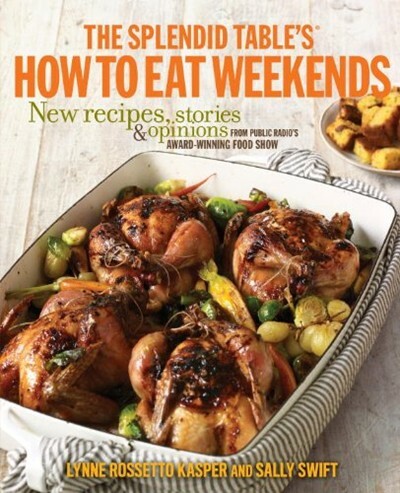 I really can't say enough good things about this cookbook. In the same way that listening to an episode of TST feels like sitting down to a cup of tea with Lynne Rossetto Kasper, so does this book. No ordinary pickle—that’s what the complex taste of this simple recipe will no doubt leave you thinking. The cinnamon lends a unique and curious depth to the veggies. By tester Kristin: Spices are a beautiful thing... 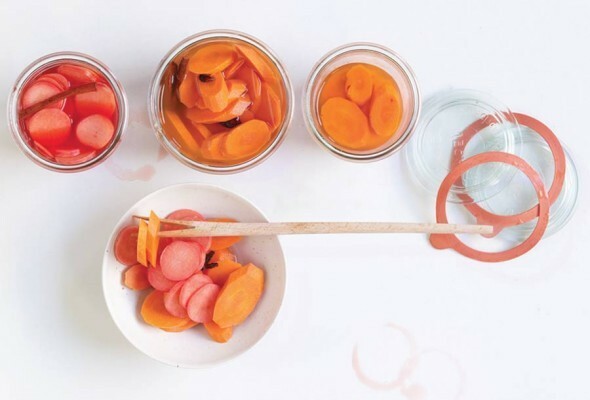 In this case, the allspice lent an exotic, almost smoky flavor to the carrots while the preserved lemon added yet another layer of complexity. ...can be completed in less than an hour, which more than qualifies as a Dinner Tonight-able recipe. Plus, it's hard to think of a more satisfying, flavorful dish that comes together this quick.